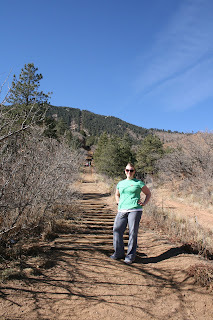 The Shaida Family: I did the Incline! "I did the incline!" Four significant words that I've been wanting to proclaim as long as we've lived in the Springs. 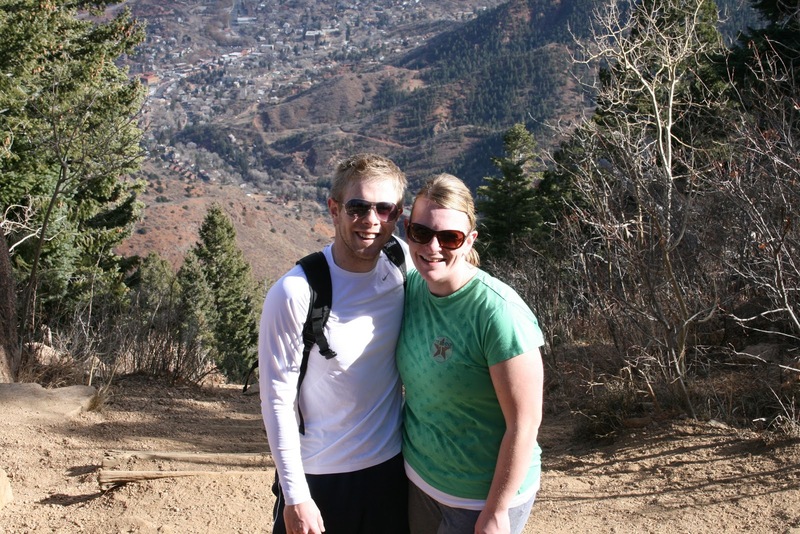 The incline is an old cable car railway that gains 2,000 feet of elevation in a mile. The steps up the incline are actually old railway ties and get incredibly steep much of the way up. The incline is quite the status symbol around these parts... although I definitely didn't do it for status. (If it was for status, I'd pick a fashionable symbol like a great designer purse or something.) I made a personal goal for myself at the beginning of this summer to do the incline - for me. I wanted to conquer it for myself. I've never really been into the whole conquering adventure stuff... but for some reason, the incline stuck out as something I knew I had to do. So, I set aside the Saturday before Thanksgiving for this little conquest and asked my amazing husband to go with and support me. (We had some experienced friends offer to take us too, but I kindly declined. The images I had in my head of me on that incline were not ones I wanted anyone but my husband to have to deal with.) We started the climb at 11:30am and steep step after even steeper step, we made it to the top. It took us an hour, which is pretty normal for a first-timer. The trek was difficult with very thin air, exhausted-jello legs and steps so steep at times you have to lean forward on all fours to keep yourself from falling backwards. But the feeling at the top of that mountain was more than worthwhile. It was the feeling of achieving a personal goal regardless of it's level of difficulty, or even more threatening - my own fears. But I did it, and I’m so glad I did. Just don't ask me to join you the next time you go... I think I'm good down here, thanks. Way to go Kelly! You rock!